Mike Wiegele Helicopter Skiing (MWHS) is the largest single base helicopter skiing operation in the world. Their tenure area lies in the heart of the magnificent Cariboo and Monashee Mountains of British Columbia. The heli-ski terrain spans over 1.2 million acres (4,550 sq. km) of area, encompassing over 1,000 mountain peaks. BHA has had a long working relationship with Mike, being involved in the development of the Tenure Management Plan, the Eight Peaks SRMP and the Saddle Mountain Resort Master Plan. Since 1970, Mike Wiegele Helicopter Skiing (MWHS) has led the heliskiing industry by providing their guests with some of the best skiing and snowboarding in the world. Located in Blue River, British Columbia, Mike Wiegele Heliskiing is world renowned for their excellence in operations, unparalleled safety record and distinctive customer service. At the end of a day of powder skiing, the guests are returned to their exclusive luxurious accommodations, dining and amenities in a self-contained unique Heli-Village Resort setting. Internal to their tenure area is the designated, award winning, Eight Peaks area that surrounds Blue River. 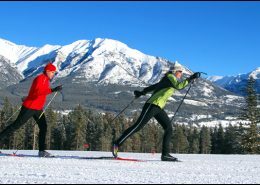 Significant effort has been put into the planning and development of permanent ski trails and gladed tree skiing terrain in close proximity to Blue River. The objective of this was to improve the reliability of the skiing product on the skiable terrain in close proximity to the Heli-Village and base facilities in Blue River. This offers the operational benefit of quick access and egress to the skiing, reducing concerns about being unable to fly due to bad weather. Equally this realizes the direct economic benefit of reduced operational costs incurred in travel to the skiing from Blue River. MWHS worked very closely with the forest industry to enable the creation of rotating “vertical cut blocks” that will both accommodate excellent heliskiing as well as economic diversification to the benefit of the local logging interests. 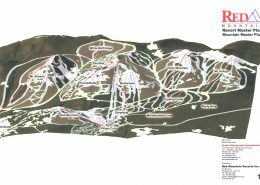 Complementing the heliskiing is the recently approved lift and snowcat serviced ski resort on Saddle Mountain. The development of this multifaceted mountainside resort will separate Mike Wiegele Heli Skiing from their competitors. The inclusion of Saddle Mountain will enable an offering unlike anywhere else in the world. The vision is to develop a mountain retreat that caters to the pursuit of powder skiing. It will include a powder skiing academy, enable down-day skiing for heli-skiers and facilitate a range of lift serviced / heli-skiing packages for a wider spectrum of the high end skier marketplace. An upper base area will contain a Village Core and ski to/ski from “heli- lots”. 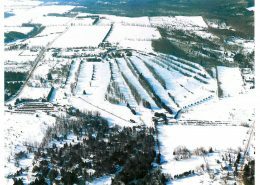 A lower base area will include a Base Lodge, 18 hole golf course and ski to/ski from, fairway view, single family estates. At buildout, Saddle Mountain will have over 4,300 feet of lift serviced vertical skiing making it one of the biggest lift serviced mountains in North America. Once in place, Saddle Mountain will appreciably improve the sustained economic viability of Mike Wiegele Heli Skiing. Brent Harley and his team have been involved in our Saddle Mountain project from the start and have provided cost effective direction and support through all phases of the government approval process. Brent Harley and Associates have made a point of getting to know all parts of our business. They have an excellent reputation to meet the desired end results both with private industry and government.